Stahl INDIA is one of the world’s leading suppliers of leather processing products and also has strong positions in other selected market niche areas with proprietary products such as Permuthane®. 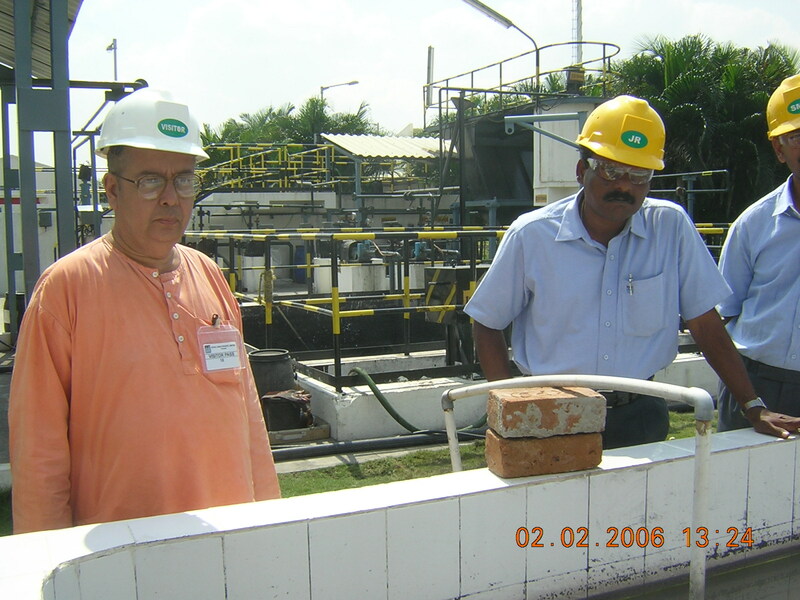 Dr V Sivasubramanian has signed an MOU with STAHL INDIA chemicals to treat the effluent using mico algal technology. Effective removal of heavymetals has been achieved by the process of PHYCOVOLATILIZATION. Using algae to treat industrial effluents containing heavy metals presents an alternative to the current practice of using other biosorbents and physical and chemical methods. In this study, effluent was treated for the removal of heavy metals using the microalga, Chlorella vulgaris, which was isolated from the effluent itself. The results of the study show that after 8 hours, Chlorella vulgaris exhibited a better adsorption capacity under sunlight compared to laboratory conditions (i.e., 30.6 mg/g dry weight vs 10.5 mg/g dry weight, respectively). Similarly, reduction of heavy metals and mass balance in pilot-scale field studies conducted in a high-rate algal pond showed that the microalga, apart from adsorption, complexation, and entrapment mechanisms, is likely to possess phycovolatilization capability probably via biotransformation processes. Water Environ. Res., 83, 291 (2011).